what do ya think about this one? By "winter-time attempts" do you mean snow camping/snow travel? For that pursuit, loads tend to be heavier. Staying safe and warm is paramount; you may have to sacrifice some extra weight. I'm not UL but I'm not a big guy so I gotta watch what I put on my back. My winter kit doesn't differ too much from my summer kit as I'm usually doing alpine stuff. The difference is merely a warmer parka, gloves, hats - sometimes insulated pants. Black Diamond single-wall tent - I fit in a Firstlight - 3lbs. Opinions will vary, but that's what's in my pack. A lot depends on your budget; if you got the cash, it's nice to get the good stuff. There is so much stuff out there that is lightweight and great. and it's "why da heck ur pack weigh so flippin much!?!". You really need a change of clothes for a three day trip? 4, 5, 6..
Said this a whole lot... you needs to stay warm and dry. How you do that is up to you. And sleepy out of your tent as much as possible. After awhile you really won't want to sleep in one again. Yes indeed...that's a good site. And Ray Jardine is the daddy of it all. Lots of ideas on his site too. I'd consider a high R-value sleeping mat. I've been happy with the Exped DownMat 7 (full length), IMHO, it is worth the cost and added weight as it is so easy to lose heat down to the ground/snow. Before the DownMat, a double mat worked (closed cell + self-inflating ThermaRest). I'd also suggest a "real" shovel rather than just a snowclaw, which I have found indequate when needing to dig into snow to create more wind protection. It is certainly inadequate to dig a snowcave (which you probably wouldn't try as a solo) or covered snow trench (which might be useful as a solo if weather turned nasty). I've found JetBoils work OK in the cold, though I've seen the MSR Reactors in use and they work even better (esp. if a large quantity of snow needed to be turned into water). I prefer polar fleece to down, but others will differ. Google "ECWCS Level 3" for a useful, cheap (as low as $40) winter layer. ECWCS Level 2 is a good expedition-eight long underwear choice. I also like the Black Diamond Single Wall tents. I have survived nights with their hooped bivies but now (like and earlier poster) have gone to the small 2-man tent (used as a solo) because it is large enough to cook in and large enough to sit out a day-long whiteout without total misery. The Firstlight is quite wind-stable and I had a good experience with it on a very windy night in Fesolation Wilderness last January. Mountain Education's Snow Course (Google it) is worth taking. One key thing is to be very experienced in non-UL backpacking and work your way into UL. A mistake in winter while traveling UL can be fatal. Tanks OD and everyone, umm i consider myself experiecd but still a mid-level, I can handle 50lbs during the summer but in snow that could be alot no? In the summer you should be in the mid thirty pound range including two liters of water. What are you carrying that makes up fifty pounds?? OK--so I fish, but I NEVER take a tackle box. A nylon bag with reel, leader and a few flies is all I take. Our two men tent weighs less than your one man tent. I would guess that there are a couple/three pounds of difference right there. Not to mention your probably heavy Coleman bag. And you haven't told us what's in the bear can...but we average about 1.5 pounds of food a day for the both of us. Edited 1 time(s). Last edit at 10/08/2011 08:28AM by balzaccom. and here is the MONSTER on my 56 y/o back! Now to address your specfics: not really a tackle box, just the smallest plano brand tray. You wash your undies, with soap? Isn't that pollution? My sweater is really light actually i think its mostly poly. It's an alum cook set you know the style (military) not that heavy, uum it's an UL tent at least that's what REI calls it, the Biscayne Coleman bag weighs about 5lbs., the bear can itself weighs 2 lbs 12 oz, what's in there? Little Debbie's? Hostess? nope nope, (for 3 days) 3 backpackers pantry dinners, 6 bags of instant oinkmeal, 6 clif bars, some melba toast rounds, a stick of salami, and some cheese. If you look like that you should be able to fly! Seriously though. You are sorta on right track. Exped Mat is nice (I have the short one).. but I wouldn't buy that at the start. Go with a inflatable and then sleep right on your closed cell that you have on monster pack. Tent you can use what you have. Just site selection is key. My advice. Buy a REALLY nice bag first. I love Western Mountaineering and Montbell. how you sleep. Buy some WM Poofy Pants and a Poofy Jacket (I have Marmut Poofy Jacket). Spend the cash and get nice Poofies. I bring those year round nearly everywhere now. weather and don't go when a super cold front is moving in. snow camping. 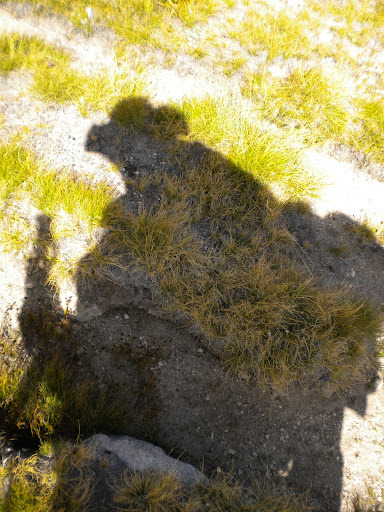 Then do something from Badger Pass or even easier like Crane Flat. Don't be a Dodo Bird in winter time. Hyperthermia kills. cool after I get 'down' then I can go over your old posts about snowshoeing! Edited 1 time(s). Last edit at 10/10/2011 01:17PM by rroland. 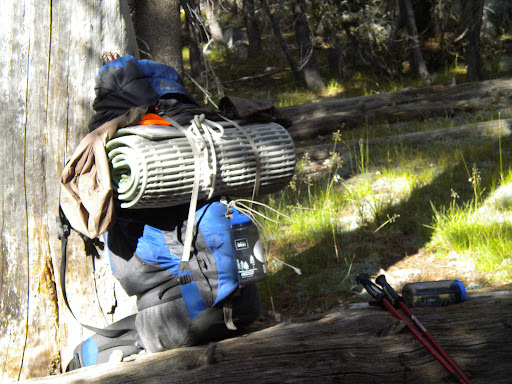 Different people have different definitions of the weight needed for ultralight. At any rate, I just noticed that a couple of "very light" REI Flashpacks are really cheap with their fall members sale right now: Flash 65 ($94), Flash 50 ($80) with FALL4MEM code.